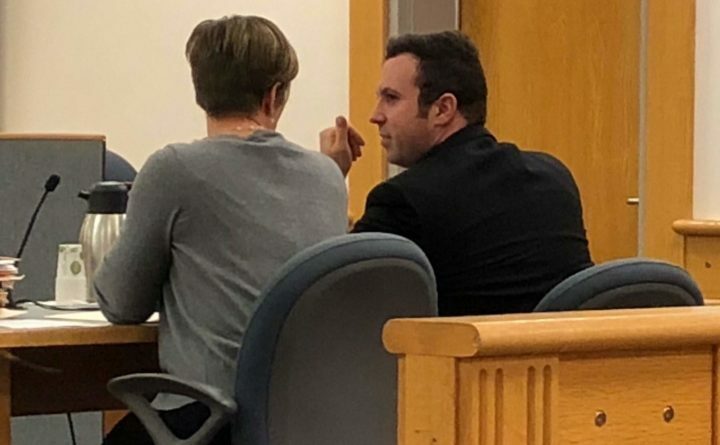 Eric Schleien, a 30-year-old Republican representing Pelham and Hudson, was sentenced in Rockingham Superior Court to jail for simple assault of a teenage girl. BRENTWOOD, New Hampshire — State Rep. Eric Schleien was sentenced to at least 30 days in jail after pleading guilty to simple assault Friday, prosecutors saying he used his power over a teen interested in politics to make sexual advances and kiss her hand. Schleien, a 30-year-old Republican representing Pelham and Hudson, was sentenced in Rockingham Superior Court to 12 months in jail with six months suspended for two years. He will be eligible for home confinement after 30 days. He pleaded guilty in October to one count of simple assault, after he was originally charged with a second simple assault count as well as sexual assault. His attorney argued he should receive no jail time, but judge N. William Delker gave the sentence requested by the prosecution. Police said when they arrested Schleien he had developed a mentor-like relationship with the victim, who told him she was studying politics at Phillips Exeter Academy as part of a summer program. The alleged the relationship developed via texting until he picked the victim up July 22, 2016, drove her to Portsmouth from Exeter to hang out, kissed her hand without consent on a walk in Prescott Park and groped her on the ride back. The girl told police she was uncomfortable but wanted to “stay on his good side” because he was providing her with a ride back to Exeter, where prosecutors said she was absent without notice and violating a school policy. Schleien’s alleged groping was not an element in the simple assault charge to which he pleaded guilty. Prosecutors say Schleien, 30, of Hudson, also said sexually explicit things to the girl throughout the meet-up, but his defense attorney denied that. Schleien, 28, at the time of the incident, did not seek re-election this year. His term ends Dec. 4. The victim was not present Friday and did not submit an impact statement, prosecutors saying she wants to distance herself from Schleien as she continues to pursue a career in politics. Schleien’s mother and father appeared to support their son, his mother tearing up during the sentencing. Delker said even the defense’s account did not exclude that he made unprivileged contact with a 16-year-old girl, as he admitted to it through his guilty plea. He said despite any advances the girl may have made, Schleien should have “put the brakes on” their relationship. Schleien’s October plea deal was the second proposed since June when the first plea offer was rejected by Delker in July. Prosecutor Melissa Fales said in July Delker made clear he felt the “power imbalance was too great” in Schleien’s case for him not to receive some jail time.